During the browser wars, compatibility was a mess and so was the web. Dirty hacks, a huge pile of frustration and enormous amount of time to test through every browser were a part of our everyday life. Times changed. 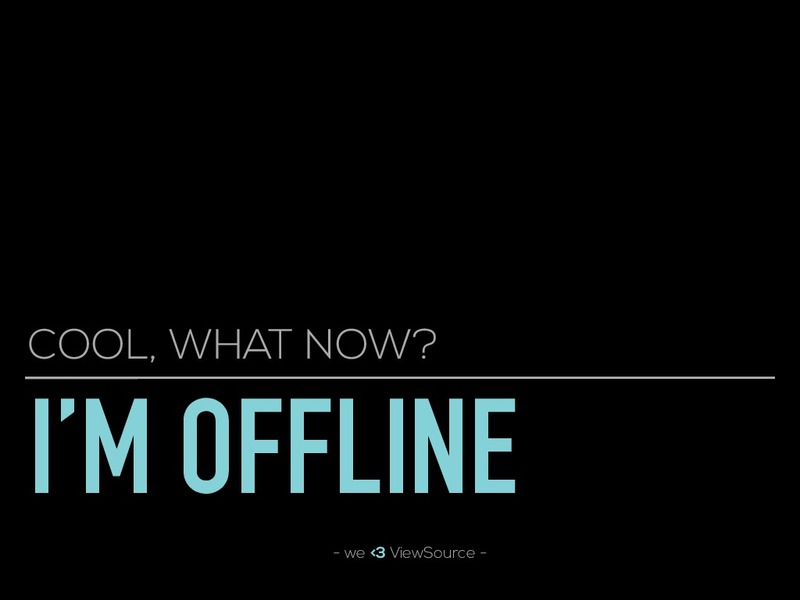 Browser wars are finally over (right?!). 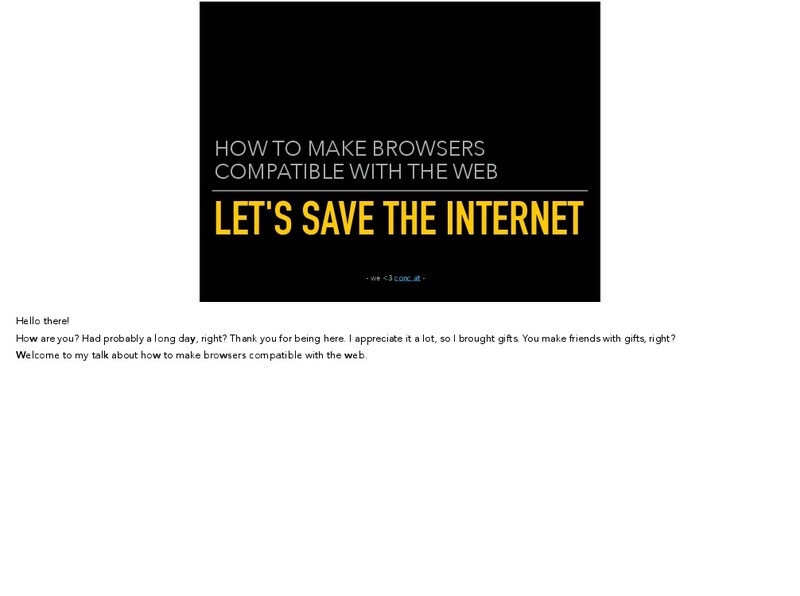 But the web is still broken and browsers still work in different ways. 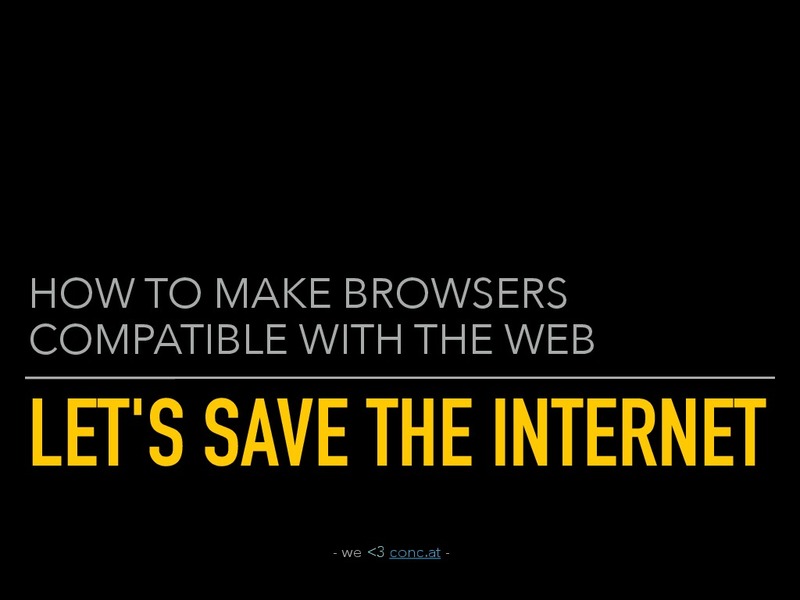 In this talk, we’ll explore the reason for web (in)compatibility, how to fix it and how you as wompats can help to save the world (wide web).